Notification Animations When you get a notification! Please read the whole description before leaving a negative review. Also, if you are facing an issue, please mail us first so that we can help you out and improve the app. 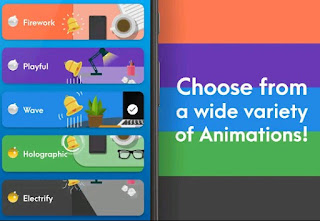 Notification Animations is a personalization app that adds the cool animations whenever you get a notification from any app or from the apps of your choice. 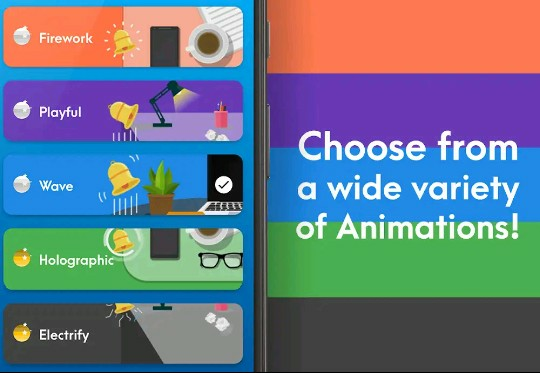 Choose from a wide variety of custom animations and never let your phone look boring again! You can choose the content of your notifications, click the animation to open the corresponding app and change the animation settings. We are constantly working to add new features and improve app performance, please stay for weekly updates.